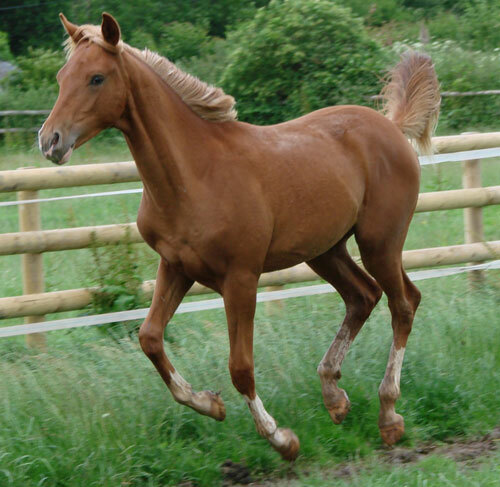 Chestnut yearling colt born 2006. By Shuwaiman Al Bahrain out of Hamdanieh Habiba. 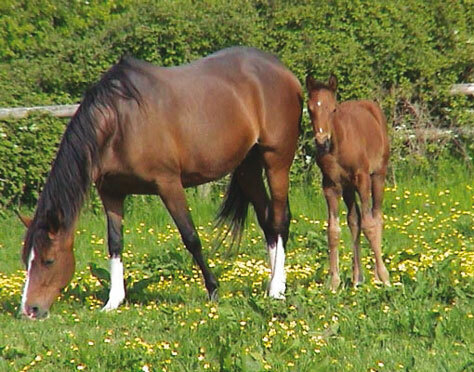 I fully expected that putting a dark bay stallion to a strongly coloured bay mare was sure to produce a bay offspring, that's the way it has always happened round here! So I was taken by surprise when this flashy blonde arrived! 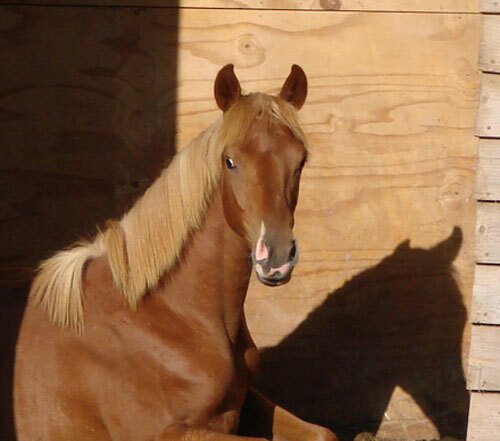 Hamdaany is the son of my bay Bahraini stallion Shuwaiman Al Bahrain and my lovely bay Bahraini mare Hamdanieh Habiba. 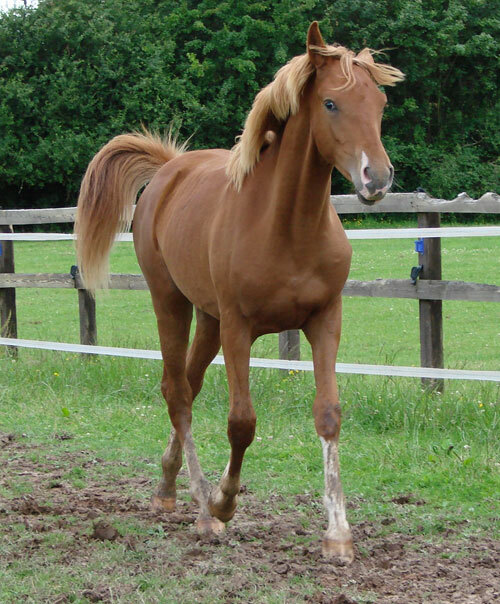 He is an extremely strong colt with tremendous bone,a lovely mover, he has a sweet kind temperament. Hamdaany is now in residence at the Royal Stud of Jordon as one of their stud stallions.